Matter is anything that has mass and takes space. But apart from the ‘normal’ matter, there are different other forms of hypothesized matter. A few examples include Dark Matter, Anti Matter and Negative Matter. You by now know that matter and energy are inter convertible; so there are Dark Energy, Anti Energy and Negative Energy too. Now let’s see what each of these terms signify. The term ‘dark’ is used to denote the unknown. So dark energy corresponds to an unknown energy. And dark matter corresponds to unknown matter whose properties are not clear to scientists. More about Dark Energy: Supernovae observations showed that the expansion of the Universe, rather than slowing, is accelerating. Something, not like matter and not like ordinary energy, is pushing the galaxies apart. This “stuff” has been dubbed dark energy, but to give it a name is not to understand it. Whether dark energy is a type of dynamical fluid, heretofore unknown to physics, or whether it is a property of the vacuum of empty space, or whether it is some modification to general relativity is not yet known. Why scientists think there is dark matter or energy? Because scientists see its gravitational influence on the rest of the Universe. As one simple example of the evidence for dark matter, the velocity of rotation for spiral galaxies depends on the amount of mass contained in them. The outer parts of our own spiral galaxy, the Milky Way, are rotating much too fast to be consistent with the amount of matter that we can detect; in fact the data indicates that there must be about 10 times as much matter as we can see distributed in some diffuse halo of our galaxy to account for its rotation. Dark matter reacts only to gravity and weak atomic force! Dark matter only interacts by way of gravity and the weak atomic force. Dark matter does not interact via either the strong atomic force or electromagnetism hence dark matter cannot be seen and is hard to detect. ‘Anti’ means opposite. So anti matter has some properties opposite with respect to the usual matter. For example, the electron has as its antiparticle the antielectron. The electron and the antielectron have exactly the same masses, but they have exactly opposite electrical charges. PS: When an electron meets an antielectron, the two annihilate and produce a burst of light having the energy corresponding to the masses of the two particles. Anti matter behaves like normal matter under gravity but opposite with respect to other three forces! Scientists assume that antimatter behaves as normal matter under gravity, though the truth is that they have never seen a large enough mass of it to know for certain it behaves the same. But anti matter reacts just opposite to other three forces than the reaction produced by normal matter. Negative matter is a hypothetical type of matter which if it exist will have negative mass and negative energy. It will in essence have a negative gravitational charge and repel normal matter. Yet it will interact just like any other matter in every other way. PS: Hope you remember that matter and anti-matter will attract each other resulting in annihilation. But matter and negative matter will repel each other under gravity. The action of negative matter under other three forces is not hypothesized yet. Ordinary matter and anti matter are known as baryonic matter. Dark matter is known as non-baryonic matter. According to the Planck mission team, and based on the standard model of cosmology, the total mass–energy of the known universe contains 4.9% ordinary matter, 26.8% dark matter and 68.3% dark energy. Thus, dark matter is estimated to constitute 84.5% of the total matter in the universe, while dark energy plus dark matter constitute 95.1% of the total content of the universe. Or in short, we are unsure about what’s there in 95% of the universe! 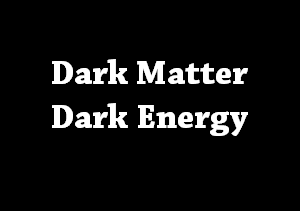 Why Dark Matter is not Anti Matter? If the dark matter out there were antimatter, we would expect it to annihilate with matter whenever it meets up with it, releasing bursts of energy primarily in the form of light. We see no evidence in careful observations for that, which leads most scientists to believe that whatever the dark matter is, it is not antimatter. Physics beyond the Standard Model.